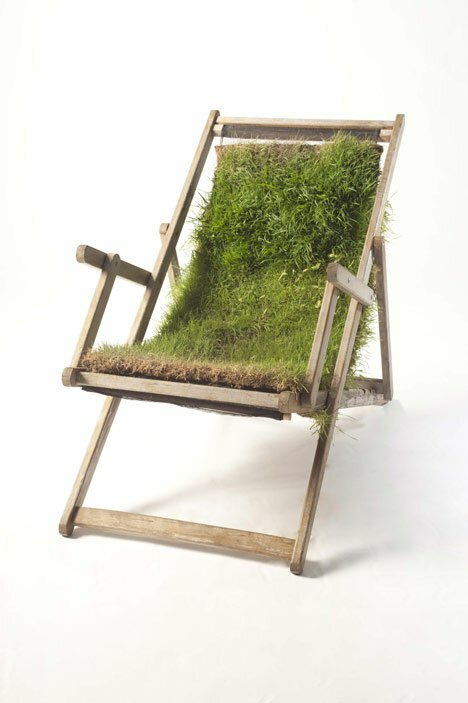 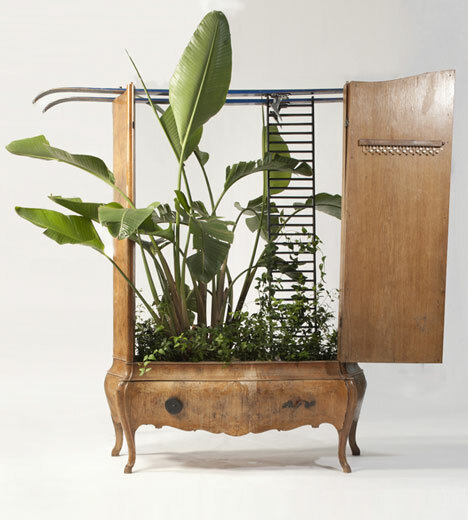 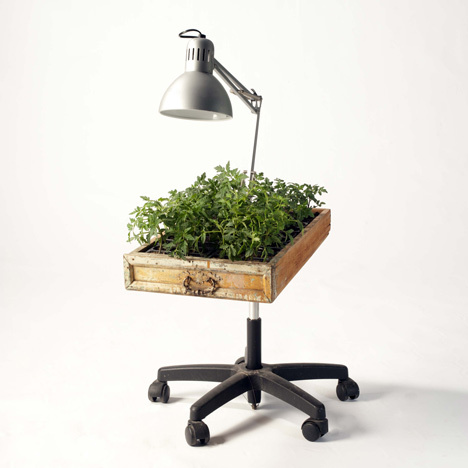 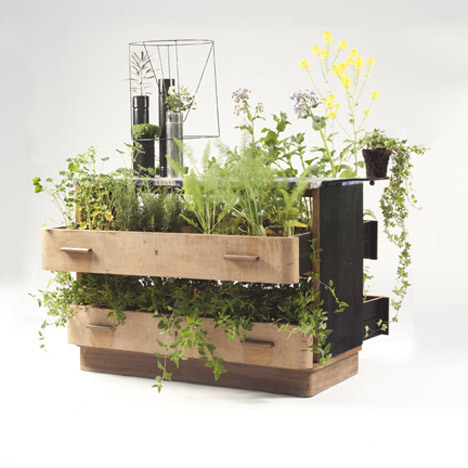 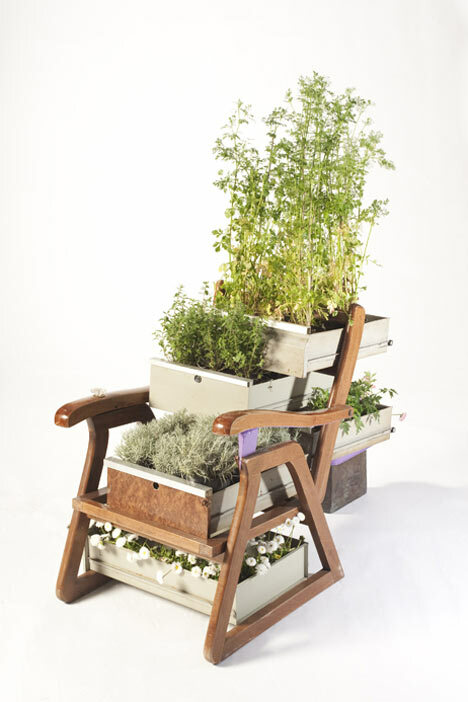 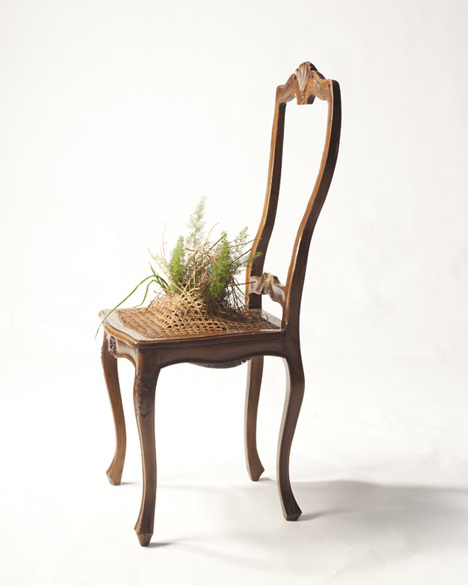 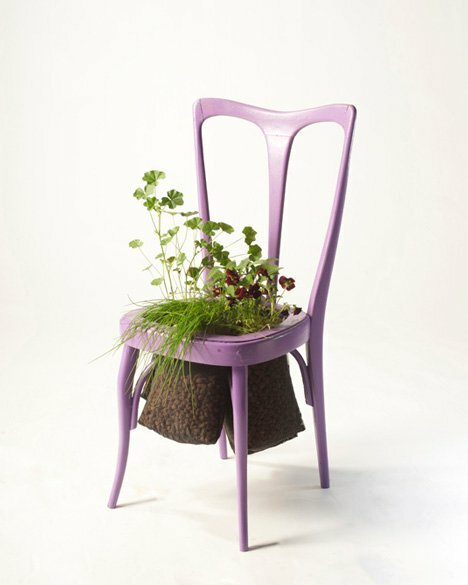 This exhibition of recycled furniture used as planters is the brainchild of designers Peter Bottazzi and Denish Bonapace. 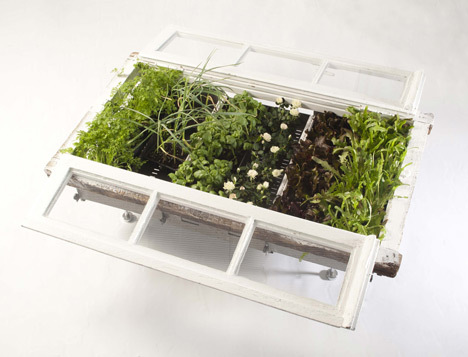 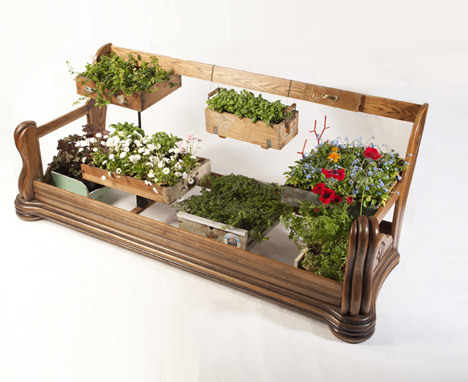 Called "Da Morto A Orto," meaning "from redundant to abundant," the pieces are intended for indoor kitchen gardens and for classroom horticultural lessons — I think they are great for anywhere in the home. 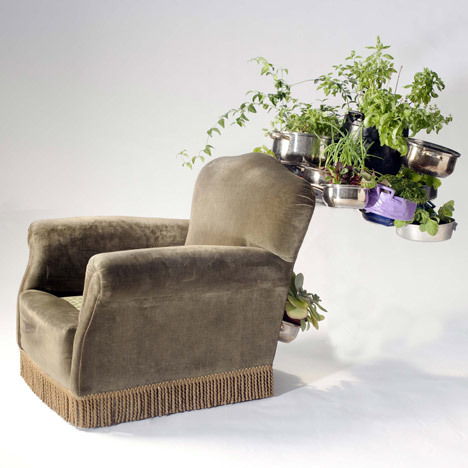 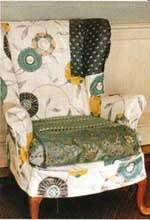 "'Da morto a orto' isn’t just a collection of one-off pieces; it is a critical, ironic reinterpretation of everyday objects that we no longer recognize or that are on their last legs — objects and furniture around the house that are destined to disappear or be destroyed are resuscitated with plant grafts."